Pulau Sombori is the definition of an island paradise. 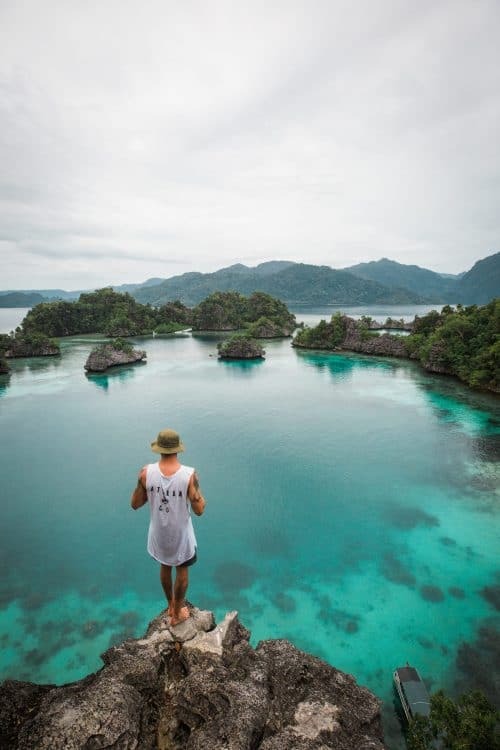 Sombori Island is one of Indonesia’s best-kept secrets and it is also known as the Raja Ampat of Sulawesi. Pulau Sombori offers blue lagoons, stalactite diamond caves and beautiful turquoise bays filled with coral rock islands. Pulau Sombori is a mecca of small islands located off the coast of Southeast Sulawesi, Indonesia. From the city of Kandari on the mainland, it is approximately a 3-hour boat trip to Sombori Island. Sombori Island is best visited on a tour to Labengki Island. The tour includes a day trip to Pulau Sombori from Labengki Island. The most efficient way to travel to Pulau Labengki is to fly to Kendari Airport, which is the nearest city to Labengki Island in Southeast Sulawesi. Most flights will fly to Makasar in West Sulawesi and here you will have to transfer flights and fly to Kendari in Southeast Sulawesi. The flight from Makasar to Kendari is 50 minutes. When you arrive at Kendari Airport, a taxi will cost 100,000 Rupiah ($10) for a 30-minute ride into the city. From Kendari City you will have to take a car to the boat harbour that takes 1 hour and then a boat to Labengki Island which takes approximately 2 hours depending on sea conditions. 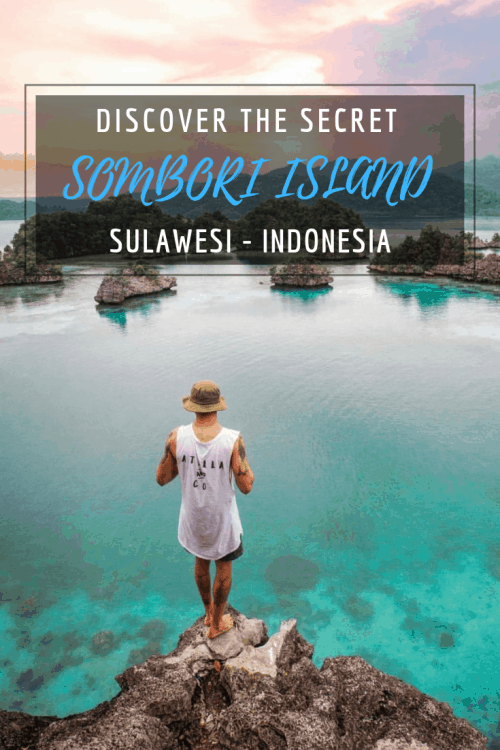 This region of Southeast Sulawesi is still very much undiscovered and there is next to no tourism, which means at this point there are limited options to book a tour to Sombori Island + Labengki Island. After hours of research, I managed to find a local travel company called Fun Adventure that was able to organise a trip for 3 days and 2 nights to Pulau Labengki and Sombori Islands. I contacted the tour company via Whatsapp one week prior to my trip to Sulawesi to organise and confirm everything. 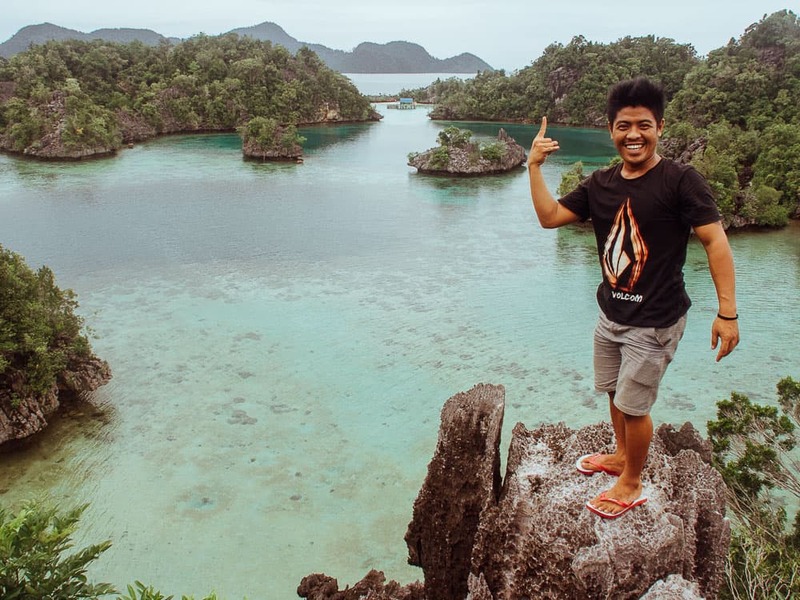 Their Whatsapp number is +62 821 3989 9009 and they are very quick to respond when you message to inquire about booking a tour to Sombori Island + Pulau Labengki. Alternatively, you can book a tour through their website by clicking HERE. 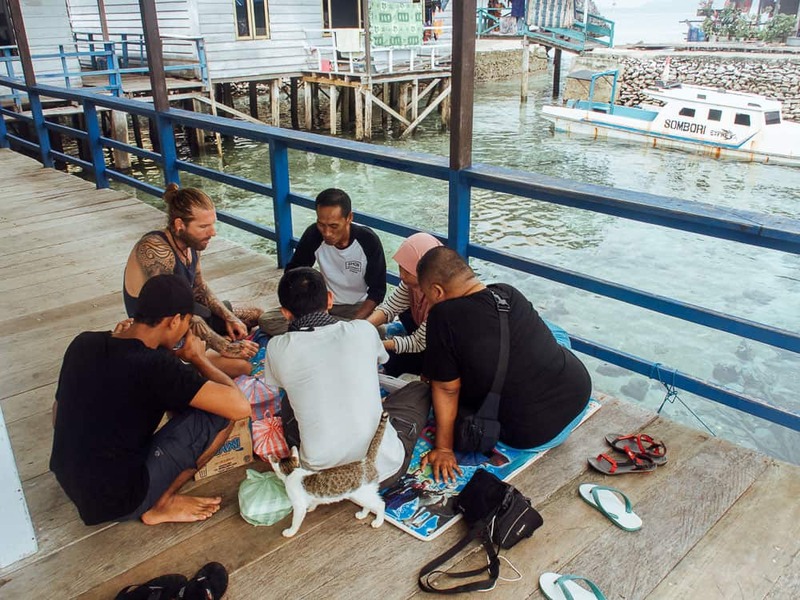 The cost of the tour was 4,000,000 Rupiah ($400) which includes transport to and from Kendari to Labengki Island, 2 nights accommodation in a small homestay on Little Labengki Island, a 3-day island hopping itinerary including a day trip to Sombori Islands, 3 meals per day (rice, noodles, fish) and drinking water. 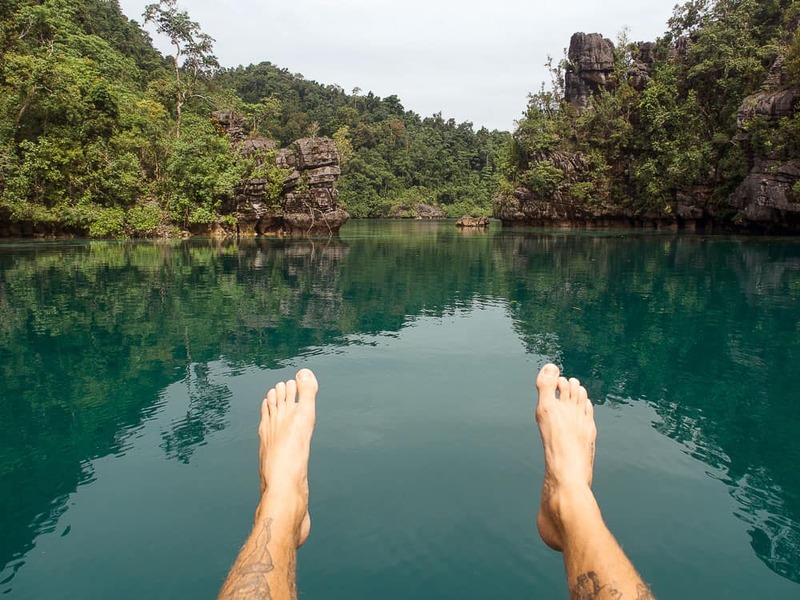 On the first day and third day of the tour, the following locations you will get to visit on Pulau Labengki and Little Labengki Island are the Goa Cave Swimming Pool, Blue Lagoon, Pasir Panjang Beach, Kimaboe Hill + Teluk Cinta (view of a love heart shaped lagoon) and The Lighthouse. To see the full blog post of Labengki Island you can check it out over HERE. On the second day of the tour, you will take the boat to Sombori Islands for an entire day of island hopping. 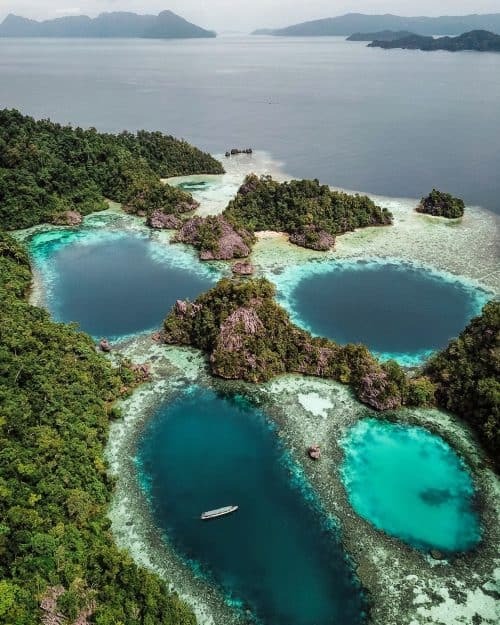 The locations you will get to see on Pulau Sombori are the Sombori Island Lagoons (Grandma’s House), Sombori Hill on Pulau Kayangan (viewpoint similar to Raja Ampat), Berlian Cave (Gua Berlian) and a lunch break on Mbokkita Island. 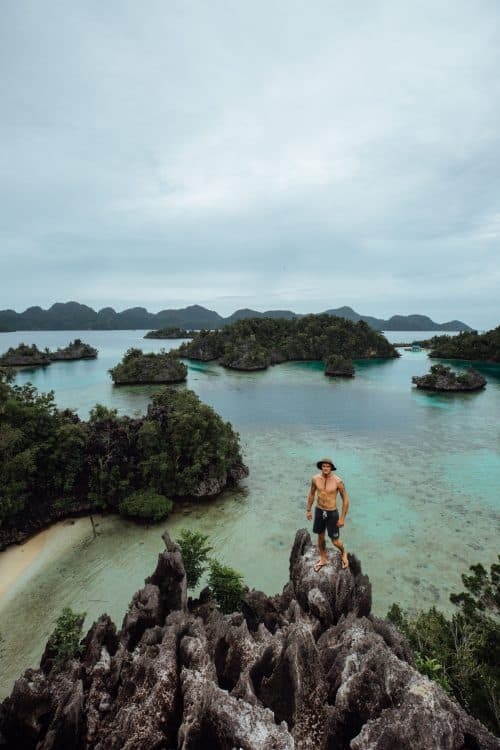 Sombori Hill + Kayangan Peak is located in a small bay of colourful reefs with turquoise blue water and it is surrounded by a dozen coral rock islands. The boat will pull up at the base of Pulau Kayangan and from here you can hike for 5 minutes to the top of Sombori Hill to Kayangan Peak. The view from the top is not something you get to see every day. See the images below and you will know what I am talking about. Once you’ve enjoyed the view from the top of Sombori Hill + Kayangan Peak, you can ask your guide to take you to another viewpoint across the bay for a different perspective of this location. The boat will arrive on a deserted white sand beach and you can hike for a short 5-10 minutes to the top of another rock island for unforgettable panoramic views of the bay. A short 10-minute boat ride from Sombori Hill is the Berlian Cave. 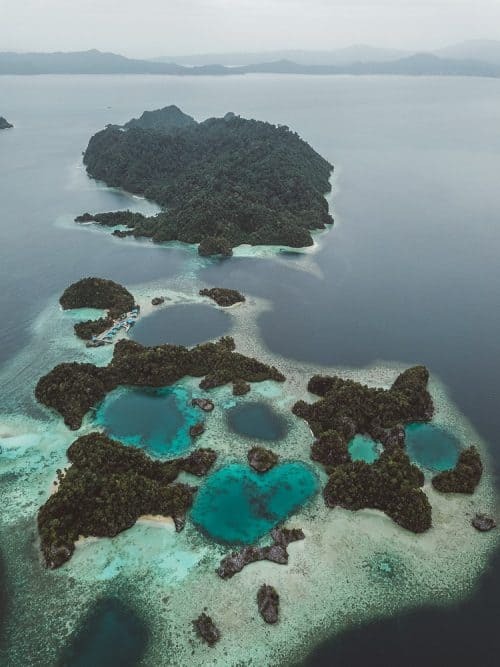 To access Gua Berlian, you will have to step off the front of the boat as it arrives at the edge of the rocky coastline that is Pulau Sombori. There is a small wooden ladder to climb to a flat rock face surface and then it’s an easy 1-minute walk to the entrance of the cave. On the inside of the Berlian Cave are stalactite diamond formations and it is also home to a large family of bats. 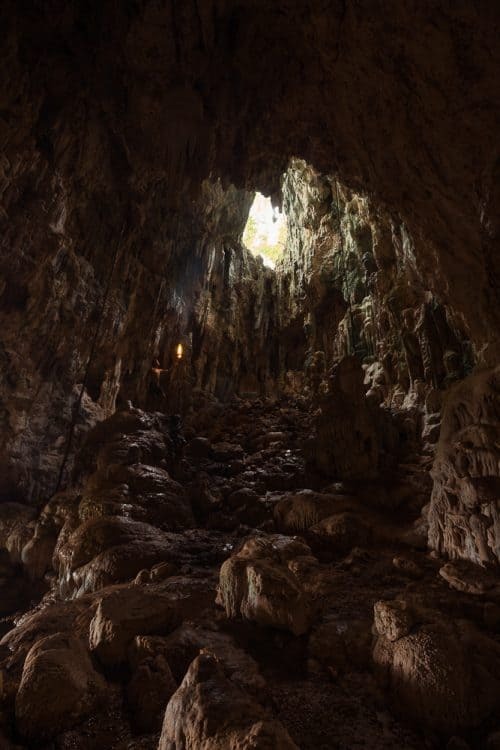 There is a hole at one end of the cave where the suns rays will find their way through, providing some light for you to see some of the fine details of the inside of Gua Berlian. On Pulau Sombori, I found the most breathtaking lagoons I have ever seen. It is better known by the locals as Grandma’s House, the meaning of this I am not quite sure. Our boat sailed us through a number of small entrances between large scale cliffs and we were able to explore and swim around in the blue lagoons. The best perspective of these lagoons is from above and I highly recommend flying a drone here to capture it all. Mbokkita Island seems to be the hub for local fisherman to come to dock their boats for a break during the day. A small community of villagers inhabit Mbokkita Island and cater for the fisherman when they arrive. We stopped on the island to have some nasi goreng for lunch and were kindly invited to share some lobster with some of the locals. Hands down the best lobster I have ever eaten. The island is filled with over-water huts on bamboo stilts, each of which are painted a different colour of the rainbow and wooden decks and bridges between. 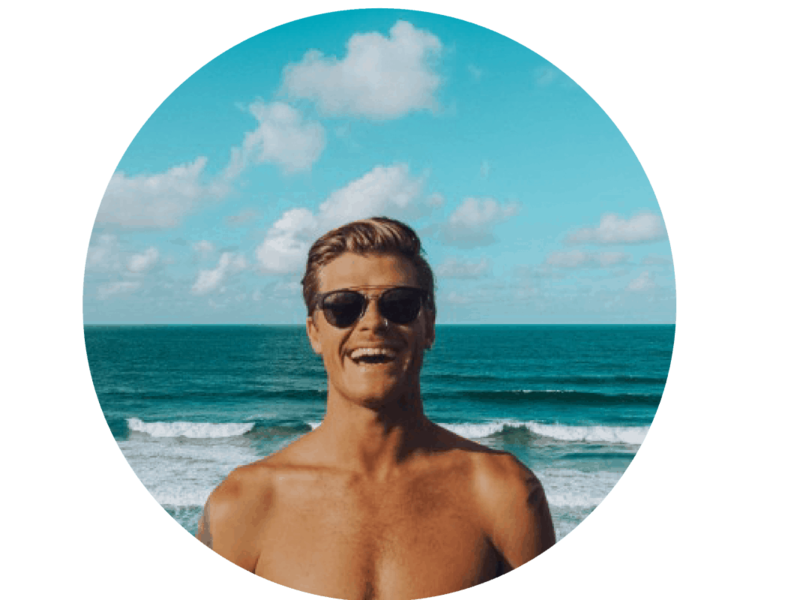 As Pulau Sombori and Pulau Labengki are up and coming destinations in Indonesia, there is very limited information about these islands, in fact, this article may be the first detailed blog post you will find that is written in English. On Little Labengki Island the only power source comes from a generator which is only switched on from 6pm-10pm, so if you need to charge camera batteries, phones and accessories, this is the only chance you will get. 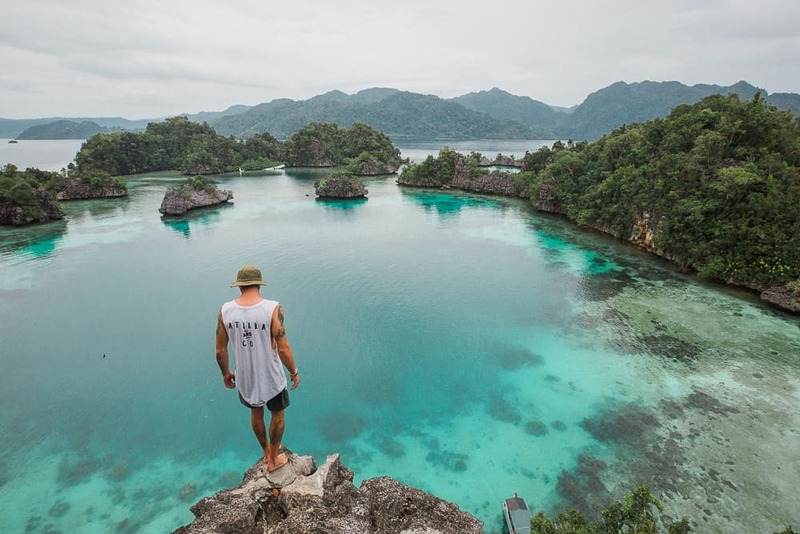 The population of Little Labengki Island is 470 and it is inhabited by the local Bajo people, said to be the toughest fisherman in all of Indonesia. They are also very welcoming and friendly to new visitors. Pulau Labengki is home to the worlds largest clam and also the only blue hole found in Indonesia for scuba diving. A French diver made it down the blue hole to 170 meters though it is still unknown how much deeper it goes. There is no wifi anywhere on the island and the only service you will get is from the top of the Lighthouse if you are using a Telkomsel sim card. The food at the accommodation is very basic and only consists of fish, rice, noodles, vegetables and crackers for the 2 nights and 3 days tour. I recommend packing extra snacks and fruit before leaving the mainland. There is no ATM machine on the island, though you won’t need any cash as everything is included in the tour. 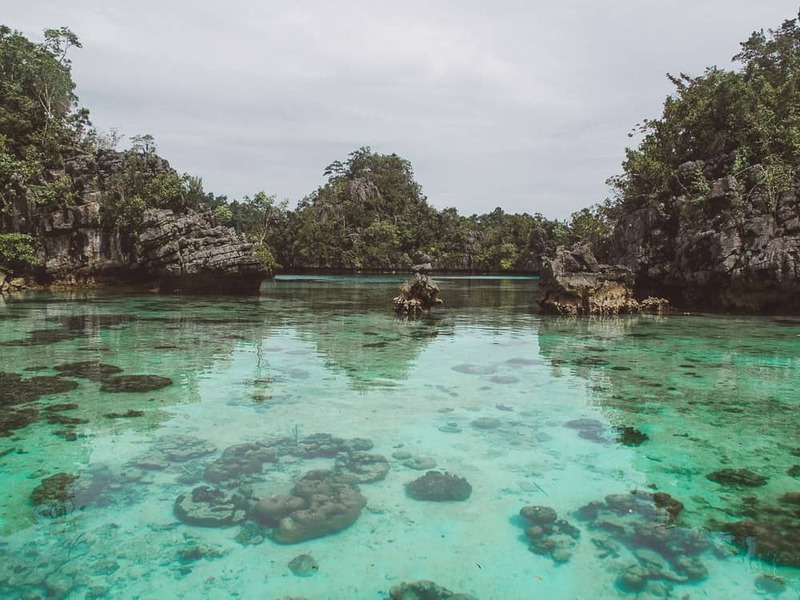 I hope you enjoyed reading this article and I hope it inspires you to visit this wonderful region in Southeast Sulawesi while it is still untouched and beautiful. Of course what do you need to know? 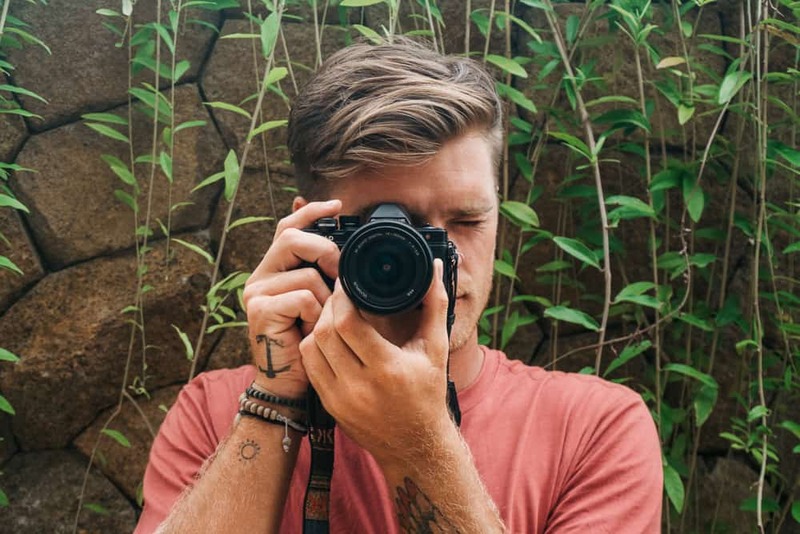 Hi, can you please help me with complete itinerary starting from Bali and all the way to Samborini and Labengki islands?